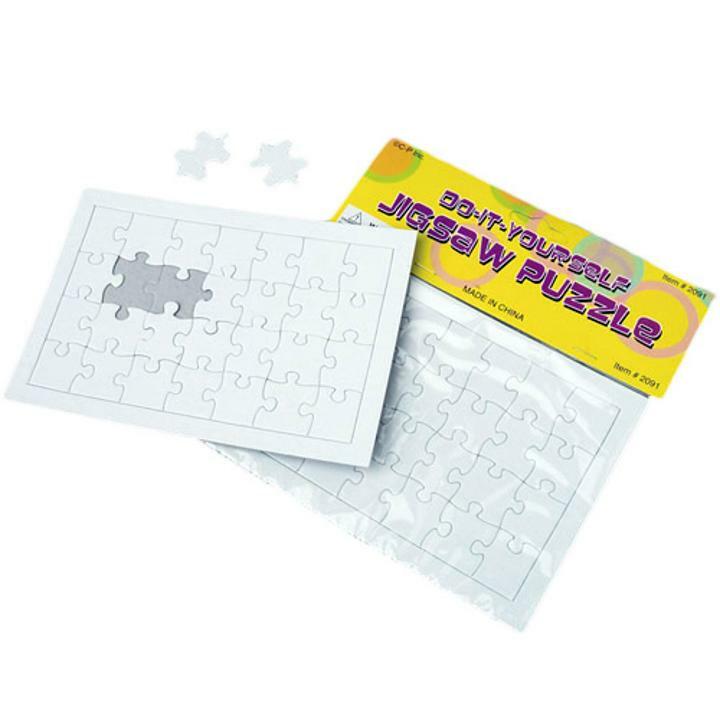 Cheap Blank Jigsaw Puzzles - 12 Ct.
Every puzzle is blank - perfect for customization! Use creativity and imagination to personalize these cardboard jigsaw puzzles. Blank jigsaw puzzle are a fun addition to kids birthday party supplies. L: 5.85 in. W: 1.75 in. H: 7.7 in.